The last state general obligation bond default occurred in 1933. Yet many state GOs yield significantly more than US Treasury bonds, reflecting investor fears of future defaults. While past results are no guarantee of future performance, history does offer investors valuable insights into our present situation. As Table 1 shows, state and territorial bond defaults were relatively frequent during the 19th Century. Table 1. List of State Bond Defaults. KBRA (2011) No loss of principal or interest; maturing bonds were redeemed with new bonds rather than cash. KBRA (2011) Interest and principal not remitted to certain state-controlled funds; individual investors do not appear to have been impacted. English, W. B. (1996). Understanding the Costs of Sovereign Default: American State Debts in the 1840’s. The American Economic Review, 86, 259-275. Kroll Bond Rating Agency (2011). An Analysis of Historical Municipal Bond Defaults Lessons Learned – The Past as Prologue. New York Times. Old Repudiated Debts that Stir the British. August 10, 1930. Page X12. Ratchford, B. U. (1941). American State Debts. Durham, NC: Duke University Press. Smythe, R. M. (1904). Obsolete American Securities and Corporations. New York: R. M. Smythe. Most of the 19th Century defaults occurred in two waves: one that followed the Panic of 1837 and the other following the Civil War. The first wave of defaults happened after a number of states made heavy investments in canals and state-chartered banks. In the deflationary years that followed the 1837 financial collapse, eight states and the territory of Florida failed to service their obligations. A recent article by Jeff Hummel provides an excellent summary of this situation, along with references for further reading. The post-Civil War defaults were concentrated in ravaged Southern states, many of which took on substantial loads of debt under “carpetbagger” controlled governments. The carpetbaggers – northerners who came down south with their possessions wrapped in old carpets – seized control of some state governments, issued bonds and then kept much of the proceeds. When local politicians regained control of state governments, they deemed the carpetbagger-incurred debt as illegitimate and repudiated it. Since the 19th century, all states with the exception of Vermont have implemented balanced budget requirements and other restrictions on debt issuance. As a result, state bonded indebtedness as a percentage of GDP has remained relatively low, while the national debt has skyrocketed. During the 20th Century, there was only one case in which a state bond default resulted in losses for individual investors: the Arkansas default of 1933. Arkansas got into trouble after assuming a large volume of road bonds issued by local governments during the 1920s. This heavy debt load combined with sharply decreased property tax collections (the result of falling property values during the Depression) rendered the state insolvent. Many readers will undoubtedly be skeptical of state balanced budget requirements given the many news reports of politicians circumventing these restrictions. While elected officials do employ many gimmicks, they also impose real spending cuts and revenue enhancements when closing budget gaps. The result is some growth in debt burdens, but not nearly enough to trigger a solvency crisis. Professors Daniel Bergstresser and Randolph Cohen provide a detailed discussion of constitutional balanced budget rules, methods used to circumvent them and their overall restraining influence in a recent Harvard Business School working paper. A government’s debt burden is often stated in terms of a Debt-to-GDP ratio. This ratio scales debt to the size of the economy, thus providing a more consistent measure across political subdivisions with varying populations and wealth. The Bureau of Economic Analysis reports US GDP by State. This BEA measure is called Gross State Product (or GSP). The Census bureau collects state and local government financial data (including indebtedness) each year, with the most recent data being available for Fiscal 2009. By combining the BEA and Census data set, we can measure Debt/GSP by State, as we do in Table 2. By international standards, these ratios are quite low – well below those of the US federal government and other major Western countries. They also compare favorably to large Canadian provinces such as Quebec and Ontario – which had bonded debt to gross product ratios of 44% and 30% respectively in 2009 (according to public accounts documents filed by each province). Also, it is worth noting that the Census debt totals include much more than a state’s general obligation bonds. These totals also incorporate revenue bonds, industrial revenue bonds, pollution control bonds, special assessment bonds, certificates of participation (COPs), judgments, mortgages and construction loan notes (CLNs) – which are generally junior to general obligations. When assessing states and national governments, rating agencies often consider the ratio of interest expense to revenue. This ratio is more useful than Debt/GDP because it also reflects the impact of interest rates and the government’s ability to derive revenue from the economy. Japan, for example, can sustain very high Debt/GDP ratios (above 200% by some measures) because it faces very low interest rates. Governments that have relatively limited ability to extract revenue like Greece (due to tax evasion) and the US federal government (due to difficulty of passing tax increases) may face crises at lower levels of Debt/GDP. American states also face lower ceilings on their Debt/GSP ratios because their ability to raise tax rates is limited by the relative ease of relocating to another state (as opposed to another country). Table 3 shows Interest Expense to Revenue ratios based on Census data. These ratios reflect each state’s total revenue – not just its general fund revenue – and its interest expense on all bonds – not just general obligations. When Arkansas defaulted in 1933, its interest to revenue ratio was about 30% – well above the level in any other state at the time and well above present levels. The only two other defaults during the last century by governments similar to US states in comparable nations (New South Wales, Australia in 1931 and Alberta, Canada in 1936) also occurred after the interest to revenue ratio exceeded 30%. Could a state default with an interest to revenue ratio significantly below 30%? While any financial result is possible, it is highly unlikely. Default is a political decision in which elected officials balance two considerations: (1) inability to spend money on programs due to debt service expenses versus (2) embarrassment and loss of bond market access by defaulting. When interest expenses are a relatively low proportion of revenue, defaulting does not make any political sense. Indeed, defaulting makes much less political sense now than it did in the 19th Century or during the Great Depression. Most state debt in the 19th century was held in Europe. In 1933, most Arkansas debt was held by investors in other states – in New York and elsewhere. With the inception of state income taxes and their exclusion of most in-state municipal bond interest, a very large proportion of state bonds are now owned by high income residents. Since the bonds are in the hands of voters and campaign contributors, the choice to default is even more politically suicidal than in was in the 1930s. Fears about current state credit quality center around public employee pensions and other employee benefits. The size of this problem – from a credit standpoint – is often exaggerated because the unfunded liability is juxtaposed with the state’s annual budget. Since the unfunded liability is payable over many years, this comparison is faulty. Further, unfunded liabilities quoted in the media often apply to an entire pension system, whose costs are only partially borne by the state. For example, the State of California is responsible for only about 36% of the beneficiaries in the CalPERS system (according to page 151 of the CalPERS 2011 Comprehensive Annual Financial Report). Underfunded state employee pensions are nothing new. The problem was also common in the 1970s and early 1980s – the last period of extended poor stock market performance – and did not produce any general obligation defaults. Statistics published by Alicia Munnell and her colleagues at the Boston College Center for Retirement Research show that pension contributions as a proportion of state budgets have yet to return to the peaks reached thirty years ago. Unfunded retiree health benefits have also been a constant. While it is true that health care costs have risen substantially in recent decades, much of this extra cost is borne by Medicare. When considering the risk of a state G.O. bond default, investors should be careful to separate their political views from actionable investment information. Inadequately funded retirement plans and political evasions of balanced budget requirements are bad public policies – worthy of criticism in the court of political opinion. Whether these issues are serious enough to trigger an outright default on principal and interest payments, is a very different question, and one that is best answered through historical research and quantitative analysis. 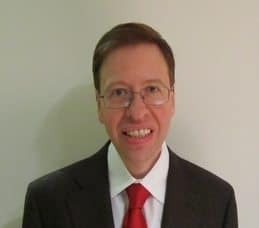 Marc Joffe is a consultant with PF2 Securities Evaluations, which just published an open source Public Sector Credit Framework. In 2011, he researched and co-authored Kroll Bond Rating Agency’s municipal bond study. Prior to that, Marc was a Senior Director at Moody’s Analytics. Marc owns State of California bonds. This website provided extremely valuable information. I own a Texas municipal bond and was thinking of doing further investing. I have now learned what to check before buying a municipal bond. Two thumbs up for this website!